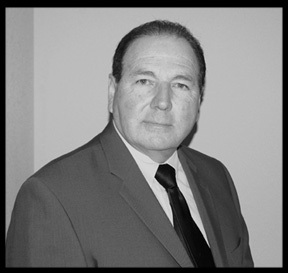 Robert A. Archuleta Bio: Archuleta & Associates Investigative Services, a Division of Archuleta & Associates, Inc., was formally established by Robert Anthony Archuleta on August 6, 1983. He always had an insatiable interest for the art of investigations at an early age. He found himself interested and drawn to such charismatic figures within the field such as the great Sherlock Holmes, James Rockford of “The Rockford Files”, “Simon & Simon” and the investigative report series such as 60 minutes. Mr. Archuleta explored the field of investigations by accepting a position with the Lodi Police Department. His advancement was slowed, but his development progressed and at the age of 23 he was elected (over and above his objections) to the position of Vice-President of the Police Association. He found himself functioning as the President, Vice-President and Secretary-Treasurer. He became the lead wage negotiator for the Police Association. Mr. Archuleta discovered that the key to any successful outcome is consistency. He reviewed the prior labor contracts and discovered that they read one way, but could easily be interpreted another way. City Management would comment that the wording contained within the contract is not what was originally intended. He found this questionable, but found it more effective to remain silent for the time being. He implemented a system where the Association elected three negotiators. One was the primary and two were secondary negotiators. Now there would always be an individual at the negotiating table that knew exactly what the wording in the prior contract actually meant. The contracts are now written to reflect the exact terms of each agreement. Mr. Archuleta negotiated labor contracts and was elected to President of the Police Association for three years. This slowed his assignment to the Investigations Unit because of the amount of time allocated to the Association. He felt the time required to successfully represent the people in law enforcement took precedence. He attended meetings in Sacramento to advance The Police Officers Research Association of California or PORAC in the time of its inception. Mr. Archuleta reflected an individual who truly donated their time, beliefs and effort in order to advance law enforcement as a profession. He believes that anyone who unselfishly gives of themselves to their chosen profession is truly successful. Mr. Archuleta was the first formal training officer under the new guidelines. He advanced himself to the position of Police Sergeant and was assigned to Planning Research & Training and Internal Affairs. He was the legal officer of the Department and reported directly to the Chief of Police. He worked as a Patrol Sergeant. 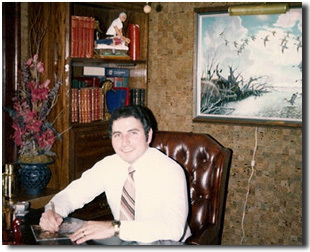 He liked the business of law enforcement and in 1980 decided to move to the private sector. Mr. Archuleta saw a need in the private sector for competent investigators that had the same level of interest in a case as the people involved. He applied and was granted a license as a Private Investigator. Mr. Archuleta began to advance his formal education by attending a Masters Program. He soon came to the realization that he needed to know more about people than he did about the justice system or organizational development. He sought self help materials from the leaders in their field and has been extremely focused on making a difference. His clients are empowered by his ability to know where they want to go and identify what it will take to get there. Mr. Archuleta takes his role very seriously. Allen Pinkerton is identified by historians as the first Private Investigator. He founded the Pinkerton Detective Agency in 1850. Private Citizens and the railroads were in need of someone that would protect their assets and interests. The Pinkerton Detective Agency filled that need. The Agency covered a large area and made people accountable for their actions. The authorities focused their efforts on what they felt was most important and were usually confined to a small geographic/regional area. Surprising little has changed since 1850. Pinkerton was instrumental in establishing the beginnings of the United States Secret Service in 1861.